A field holster is a great way to carry in the field, particularly when you want to carry a larger revolver. 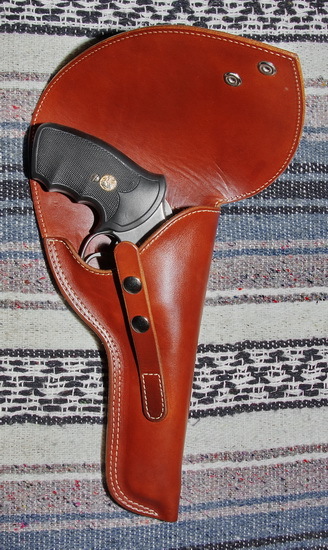 However, this style holster can be made to fit any gun. Two carry options, Strong Side or Cross Draw, are available with this holster. Flap holsters is like the field holster, but with a full flap to protect the gun from the weather. 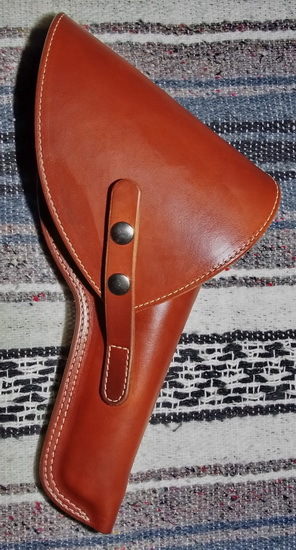 Flap holsters can be made as a cross drawl or as a strong side holster. A plain flap holster is $150. A thigh holster is a great way to carry if you are wearing a back pack because it keeps the gun out of under the pack and easy to access. Thigh holsters start at $150.